Cider Ridge Golf Club is rich in history and provides a glimpse into Alabama's rural past. More than 100 years ago, the property was originally home to the Melon Apple Orchard. This orchard grew up to 11,000 bushels of apples annually on the property, and at its peak, produced more than 20,000 gallons of apple cider a year. It also was home to an old mill which was touted as a water-powered grist, saw and gin mill, and a century old rock reservoir, which was used to produce running water. Remnants from the mill and rock reservoir are still visible on the property today. With every event, from wedding to corporate outings, we strive to give the most efficient and relaxed atmosphere possible. Working diligently with our clients and their desires, we have the unique ability to provide a level of customer service unlike any other. We have a comprehensive list of preferred vendors that will allow for the most competitive pricing in the area. Utilizing contracts, we have in place with top rated caterers and restaurants in the area we are able to provide a seamlessly smooth food service for all of your events. Special Features: Located in the North Eastern section of Alabama just minutes away from I-20, we offer a venue perfect for Alabama and Georgia residents alike. 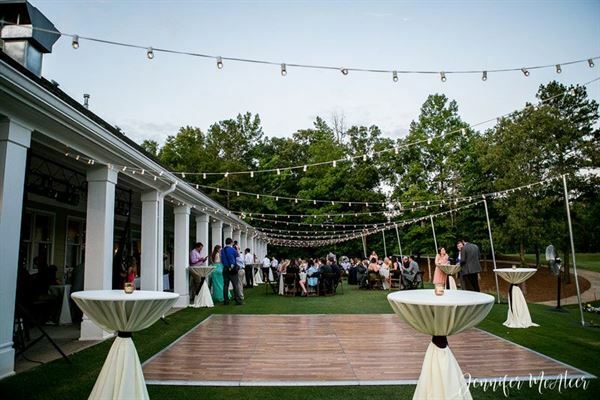 This venue is perfect for weddings, corporate receptions, and for company outings.